There is just something about the South of France in the middle of summer. COTE D'AZUR. Maybe it's the contrast between Scottish "summers" and the beautiful beach days spent endlessly soaking up the sun, but the South of France is definitely the place to be in the middle of summer. From the moment you arrive in Nice and escape the airport rush you will begin to appreciate what the South of France has to offer. First and foremost is the beautiful turquoise coastline, which by just looking at it has a way of making you feel more relaxed. As you've probably heard me mention before, I greatly admire the laid back, no fuss French style and in the summer this look is ever more apparent. After spending a few lazy days at the beach, we opted to explore a few more places. First stop, Villefranche-sur-Mer which was definitely my favourite spot. You can catch a bus from the centre of Nice and in twenty minutes arrive in the picturesque old town. We stumbled across La Cave Nature, an organic tapas and wine bar, nestled in between the narrow windy streets. A must-see!! If you have a Friday morning to spare I recommend crossing the border into Italy and visiting the busy outdoor market in Ventimiglia. It is especially good if you are after leather goods such as belts, gloves or handbags! Our final stop before heading to Monaco was Menton. After a few hours wandering around we stopped for some lunch at another tapas and wine bar which was equally great! The last stop was a week spent in the glamorous Monaco. ahhh take me back!! If you've made it to the end of this post, i salute you! 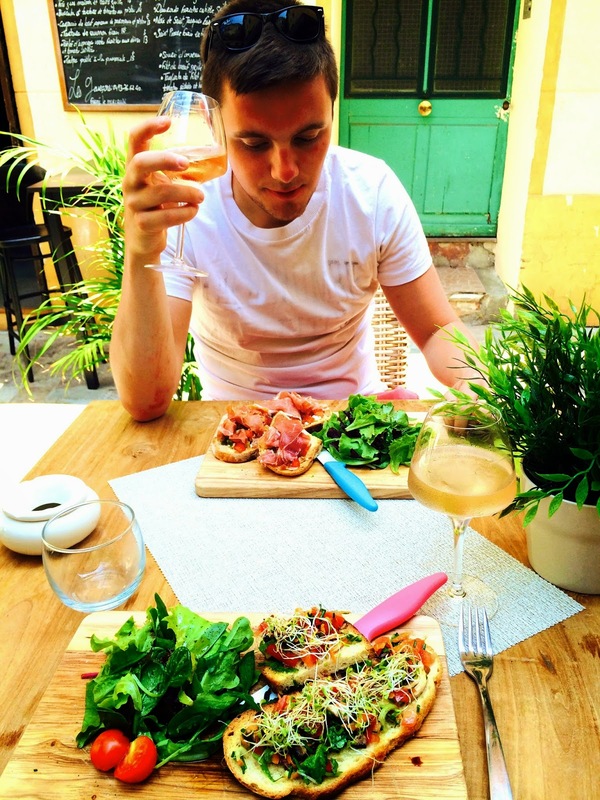 I tried to condense this post as much as possible... Have you been to the South of France? Tell me your stories, i wanna hear alllll about it! Thank you for all the great recommendations. Looking at your photos it all looks so amazing! Comme je suis jalouse! Loved your photos, was meant to visit the south on my year abroad but got super sick the week of our planned travels and never made it! Looks like you had a ball girl! The photos look deliciously heavenly and what a wonderful time away. These photos make me want to go to france! I've never been before, it looks beautiful! It truly does look amazing. Such an amazing look!!!! I adore your swimsuit! Would you like to follow each other? Let me know and follow me on my blog, I will follow you right back on both GFC and Bloglovin! Whoa!! if this is not paradise then what is it? wow! gorgeous place and photos! I've never been to French Riviera but the pictures made me want to go as soon as possible. Looks amazing. I had an afternoon in Nice after flying there and then having to drive to Italy, it was stunning. I'd love to have a holiday in the South of France! Your photos are beautiful. Beautiful pictures! I've been to the same area, love Ville Franche and Monaco!